Salty snacks are immensely popular worldwide and the chip is surely the King of the Hill. Terra Chips have been putting their own spin on this venerable snack for more than twenty years, making healthful, delicious, surprisingly colourful chips, made with organic heirloom veggies. Terra Chips assure us that we’re in for a unique and intriguing snack experience and, that if you haven’t tried Terra Real Vegetable Chips, you’re missing out on something special. 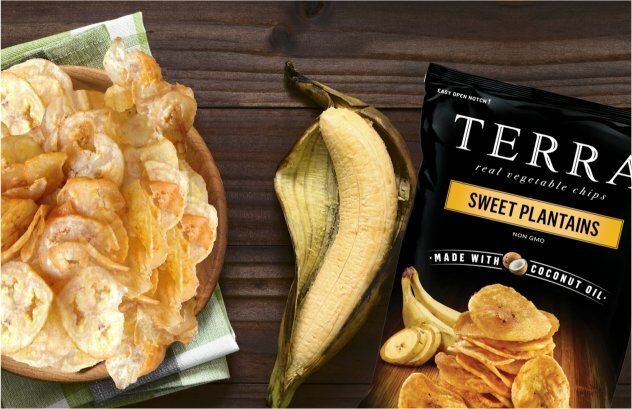 This month, we’re featuring Terra Sweet Plantain and Sea Salt Plantain Real Vegetable Chips.